That's exciting, eh? We already knew Total War: Warhammer was in the works, but it's nice to have official confirmation. It's the Total War series' first foray into fantasy. Once again, it'll be a combination of turn-based campaign strategy and real-time tactical battles—only this time you can expect magic, monsters and flying beasties. 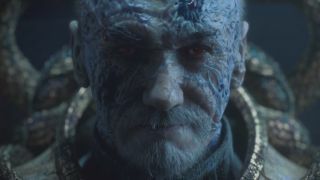 So far, Sega has revealed four factions: the Empire, the Greenskins, the Dwarfs and the Vampire Counts. Creative Assembly isn't just announcing Total War: Warhammer, but also two additional standalone expansions. They claim it will be a trilogy of games that, combined with extra content packs, will "create the single largest Total War experience ever".